Zonda Industrial Group is one of the biggest Passenger Bus manufacturers, and exporters of China, and listed on main board in Hong Kong stock exchange in 2001. 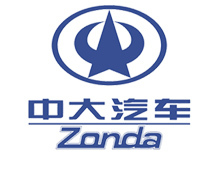 Zonda brand, with brand value of RMB6.012 billion, ranked 92 in "2006 Top 500 Chinese Most Valued Brand " held by the WBL. Our buses range from 5. 8m to 13. 7m in length and can be sorted into transport buses, tourist buses, city buses, intercity bus, Midibus, Minibus and group commercial vehicles with characteristics of high cost performance, rational design, comfort, beauty, and safety. We have had good sales in Middle East, South Asia, America, Africa, more than 30 countries and regions. If you want to buy bus, please contact us, we can produce according to your demands and provide you first-rate service.